You have many ‘friends’ in the travel agency community. Now's your chance to cash-in & share the value of HICKORY. 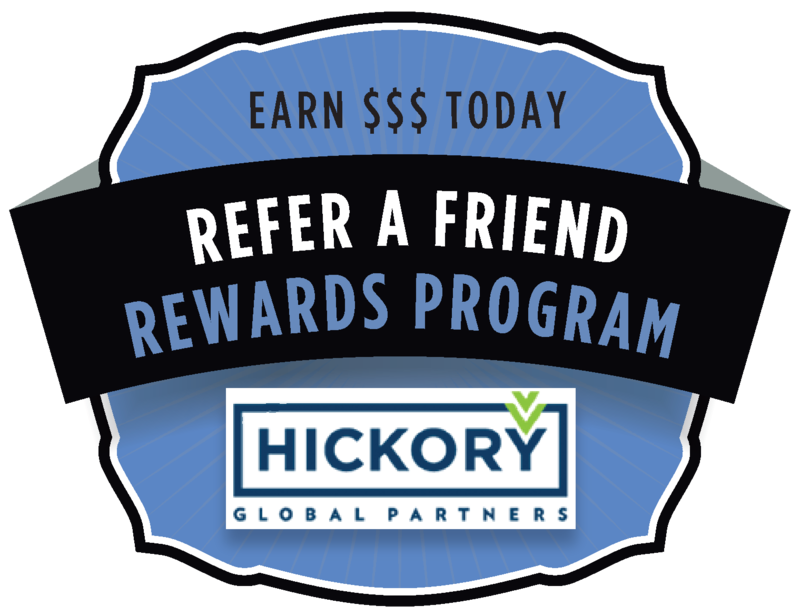 Hickory guarantees a positive ROI using our hotel rev share program. Use HICKORY's exclusive ROI calculator for yours. Our Hotel Program consists of a 26% growth YOY in properties in 6,657 cities and 164 countries with discounts and value added benefits & amenities. Register for our Hotel, Group & RFP Online Booking Tool to gain access to our 1 million + hotel properties worldwide. Our worldwide Air Program ensures that where your clients travel, Hickory Global Partners can provide reliable coverage and service. Our Strategic Alliances are designed to deliver high value, incremental sales and the latest technology to be the most beneficial to you.